The government’s new Integrated Communities Strategy Green Paper could present a funding opportunity for the UK’s sports clubs. Published by the secretary of state for communities Sajid Javid earlier this month, the green paper sets out the government’s proposals to build “strong, integrated communities where people live, work, learn and socialise together”. The strategy is supported by £50m worth of funding, which will focus on schemes that improve community relations. 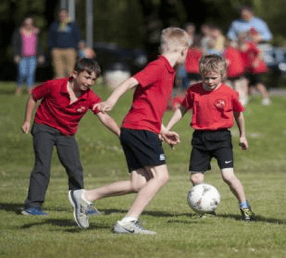 Sports clubs could be among the beneficiaries, as the strategy explicitly recognises the value of sport and recreation in bringing communities together. It also identifies that sport and recreation can be used to reach ‘at risk’ groups in society, especially those at risk of becoming involved in antisocial behaviour and crime, as well as help integrate immigrants and refugees and promote gender equality.